Seagull chicks have been removed from a Gwynedd primary school as parent birds had been swooping on pupils, staff and parents. 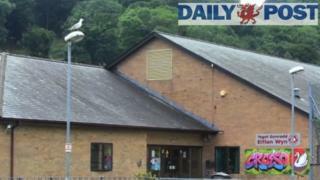 Children at Ysgol Eifion Wyn, Porthmadog, have been kept in at break this week due to the birds' behaviour. They had been nesting on the school roof but took exception to people passing by beneath them. Gwynedd council appointed a contractor to legally remove them. A spokesperson said: "As soon as the Council's Property Service was made aware of the matter by the school, officers made a request for the necessary licence from Natural Resources Wales to remove the chicks from the roof. "The licence, which is a legal requirement before any removal work can be carried out, was secured on Thursday afternoon, and the chicks were removed immediately."